This is a great find. 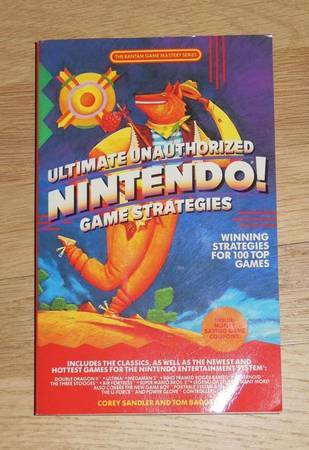 It is the Ultimate Unauthorized Nintendo! Game Strategies, Winning Strategies for 100 Top Games. It is the 1989 Edition, by Corey Sandler and Tom Badgett. This book is softback and is in BRAND NEW, NEVER USED CONDITION.